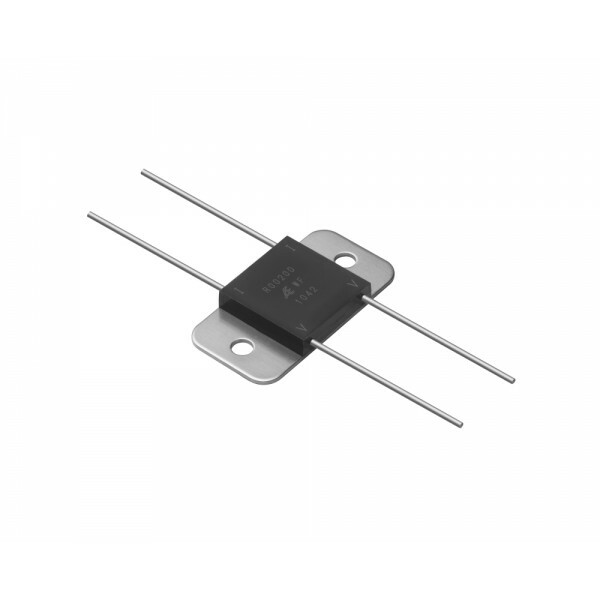 Additional Features Ultra-precision power resistor which utilises Alpha's Bulk Metal® foil technology with a 4-terminal (Kelvin connection) case-encapsulated resistor with heat sink mounting for increased power handling. 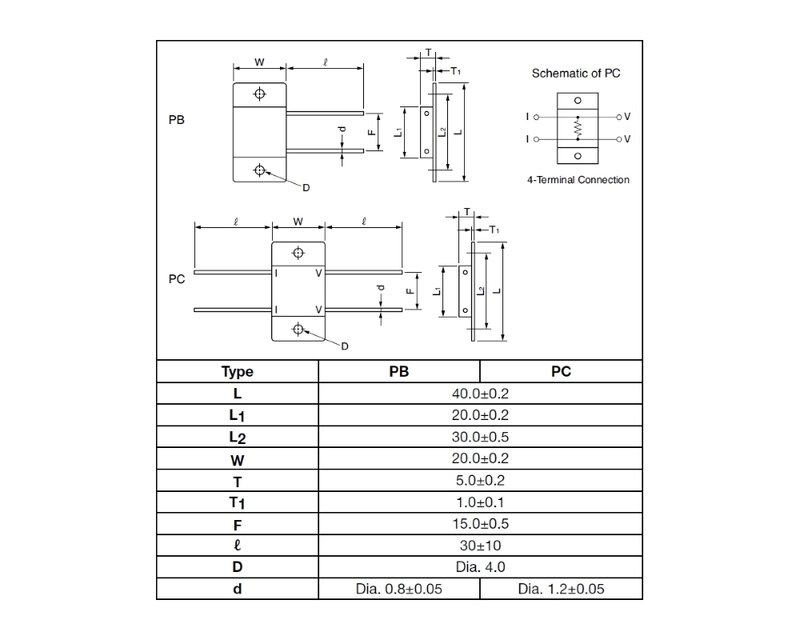 Pin pitch is 15.0 ±0.5mm and the maximum working voltage of 750V. Maximum working current of 32A, working temperature range of -55°C to +155°C and a maximum rated operating temperature of +25°C. 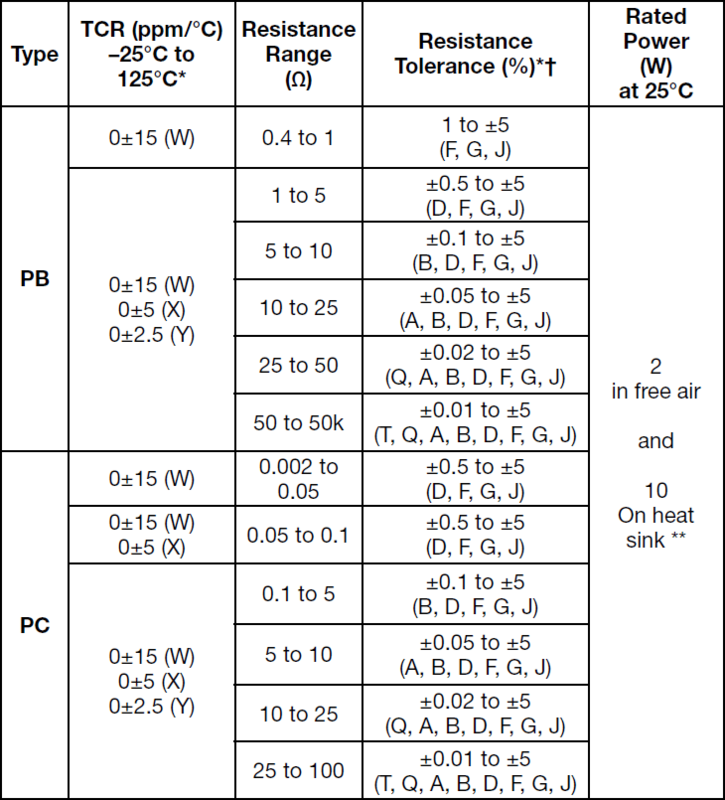 The PB ultra-precision through-hole power resistor series from Alpha Electronics offers a power rating of up to 10W on a heat sink using the mounting tabs provided or 2W in free air (at 25°C) with a wide resistance range from 0.4Ω to 50kΩ. 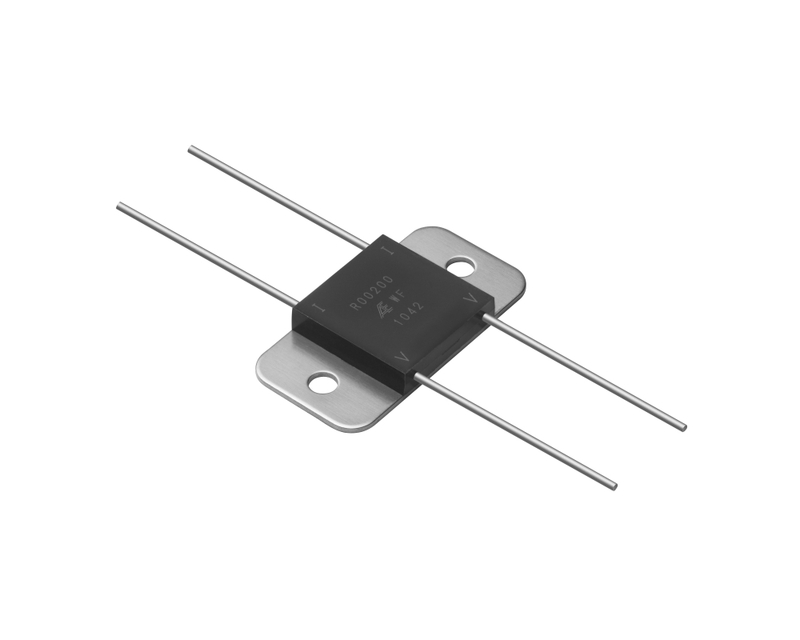 By utilising Alpha's Bulk Metal® foil resistor technology, they are able to offer low temperature coefficients down to ±2.5 ppm/°C between the resistance range 1Ω and 50kΩ as well as tight tolerances down to ..